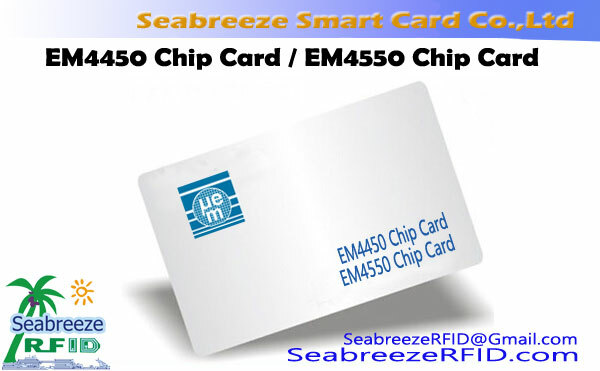 EM4450 chip / EM4550 chip, compatible with ISO11784 ISO11785 animal protocol, can be made to ID cards, access control cards/tags, animal ear tags,etc. The EM4450 chip is a CMOS integrated circuit intented for use in electronic Read/Write RF Transponders. 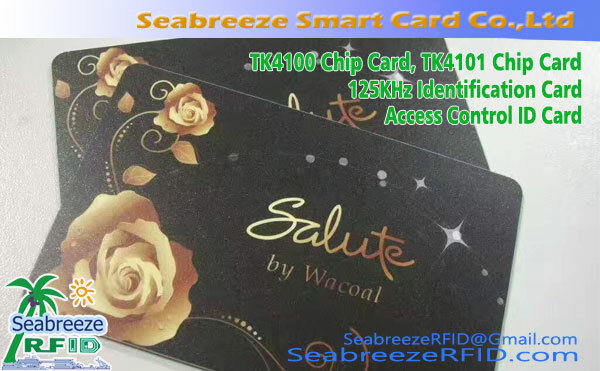 The chip contains 1 KBit of EEPROM which can be configured by the user, allowing a write inhibited area, a read protected area, and a read area output continuously at power on. The memory can be secured by using the 32 bit password for all write and read protected operations. The password can be updated, but never read. The fixed code serial number and device identification are laser programmed making every chip unique. The EM4450 will transmit data to the transceiver by modulating the amplitude of the electromagnetic field, and receive data and commands in a similar way. Simple commands will enable to write EEPROM, to update the password, to read a specific memory area, and to reset the logic. The coil of the tuned circuit is the only external component required, all remaining functions are integrated in the chip. The EM4450 chip replacing EM4150 chip. 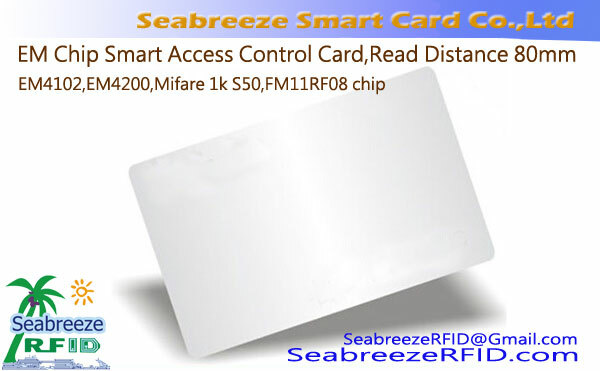 EM4450/EM4550 can produce 134.2KHz frequency, ISO11784/ISO11785 animal protocol tags. ngwa: Ticketing, Automotive Immobilizer with rolling code, High security free access control, Access Control, Industrial automation with portable database, Manufacturing automation, Prepayment Devices, Prepaid electricity meter, water meter, gas meter, Animal husbandry management, njirimara Nyocha, attendance system, hotel, employees' attendance, adọba ụgbọala management, social security management, and other general areas. 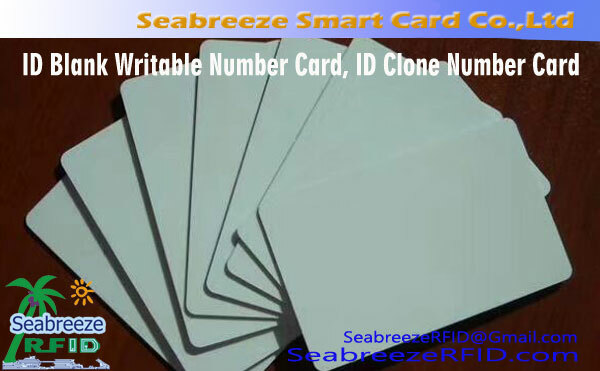 Provide white cards, printed cards, paper stickers, key chains, TOKEN, and a variety of sizes and specifications and thin cards thick cards. Obibi: dechapụ Obibi, Silkscreen Obibi, kwes-ebi akwụkwọ, Ink-ugboelu ebi akwụkwọ, Digital-ebi akwụkwọ. Security atụmatụ: watermark, laser ablation, Hologram / OVD, UV ink, Optical agbanwe ink, Zoro Ezo barcode / Barcode nkpuchi, Graded Rainbow, Micro-ederede. ndị ọzọ na-: Mgbawa data initialization / izo ya ezo, Ahaziri magnetik straipu programed, Akara mbinye aka panel, Barcode, Nọmba usoro n'usoro, Embossing, DOD koodu, NBS convex koodu, Die-bee.